Few cities in Florida can claim the enormous range of real estate that the Venice area can. At its northern edge are the mansions of Casey Key, home to the ultra-rich. Move inland and you’ll find gated communities featuring new or newer homes with every state-of-the-art amenity or design element. 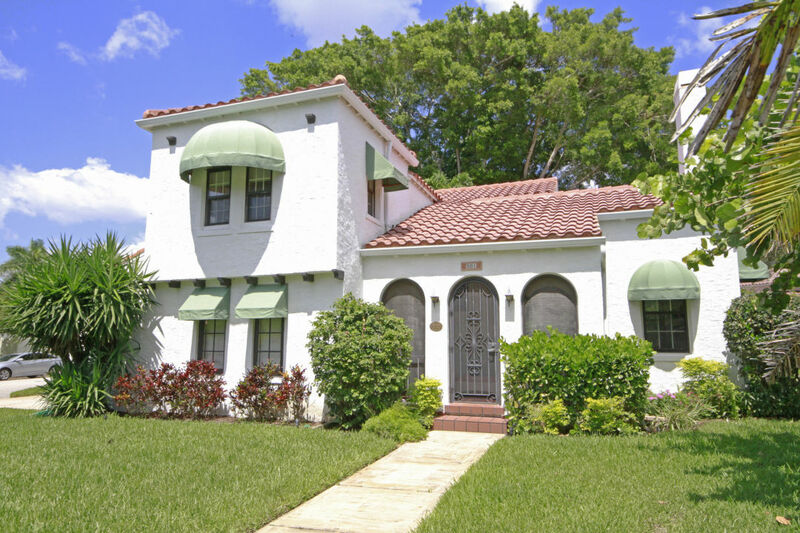 And South Venice and Venice Gardens offer appealing older homes that are great values. But what does your money buy in Venice these days? With the help of some of the town’s top realtors, we combed through the listings to find the best buys at different price levels. The good news: Few such amenity-rich towns—consider our beaches and recreational activities—offer more attractive prices. The bad news: The good stuff goes quickly. Keep that in mind as you launch your search. And to help you make an informed buying decision, here’s a guide to the cost of your dream home in 2017. If you’ve got millions to spend, you’ve got some great choices. At the top: Casey Key in Nokomis. Sarasota has a tendency to claim the key as its own, but it’s actually closer to Venice. It doesn’t matter to the residents of Casey Key. They don’t want to be close to anything. They’re spending millions for the splendid isolation of a tropical isle. The lifestyle here is appropriate for billionaires from all over the world, from the richest of Germans to the heirs to great American fortunes to the notorious gangster family who—reputedly—once owned a beachfront mansion. For $10 million, you can get one of the nicest homes. That’s expensive, even for Casey Key, but this house delivers. It’s right on the beach on over an acre of land. The amenities are endless: exercise studio, walk-in wine room, home theater, elevator. There’s even a dock on the bayside. Built in 2001, it has a contemporary Mediterranean look. 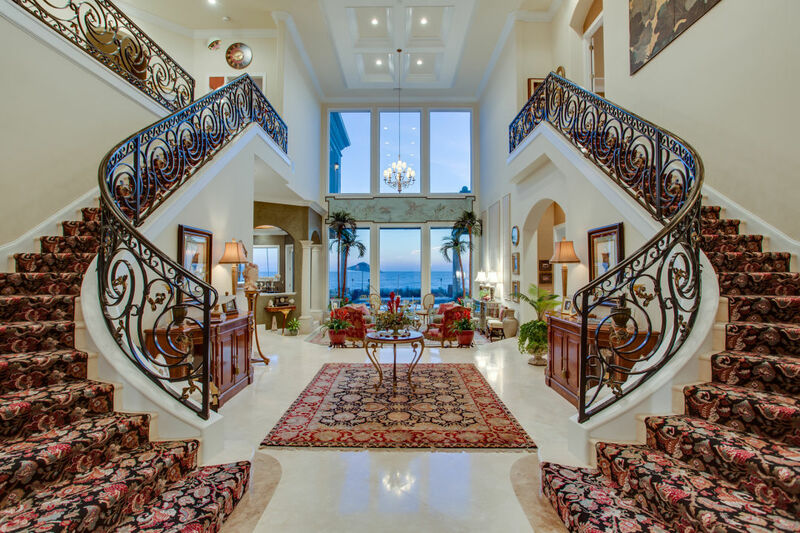 There’s a grand double staircase in the foyer and a two-story living room beyond. The dining room is octagonal. For all its grandeur, it comes across as a big family home—for a very rich family. 2305 Casey Key Road/ $10,299,000. Call Stephanie Church, Coldwell Banker, (941) 724-5448. Nature made Venice a perfect place for serious boaters, and Southbay Yacht and Racquet Club has been providing the ideal home for them since it was developed in the 1970s. The seven-acre marina has 175 slips and can accommodate boats up to 55 feet in length. Curving streets meander past custom homes, most of which hover around the half-million dollar mark. But for the truly premium locations, expect to pay a premium price. The elegant 2,417-square-foot residence above has a drop-dead view out over the Intracoastal to Casey Key and is set on almost a half-acre of land. Inside it has a traditional feeling, with spacious rooms, a formal dining room and renovated kitchen and baths. There’s a caged pool overlooking the water, plus an open terrace and nicely manicured landscaping. Southbay has an impressive list of amenities, including a large clubhouse, heated pool, tennis courts and five miles of walkways. But the big attraction remains its unique marina and boating lifestyle. 419 Yacht Harbor Drive/$1,250,000. Call Lisa Napolitano or Sharon Lewis, Premier Sotheby’s, (941) 993-0025. Just to the north of downtown Venice are the bays and inlets that give our town its appeal as a center of boating and aquatic life. Miles of waterfront provide the setting for some of the area’s most sought-after properties, with prices that range from the affordable to the multimillions. 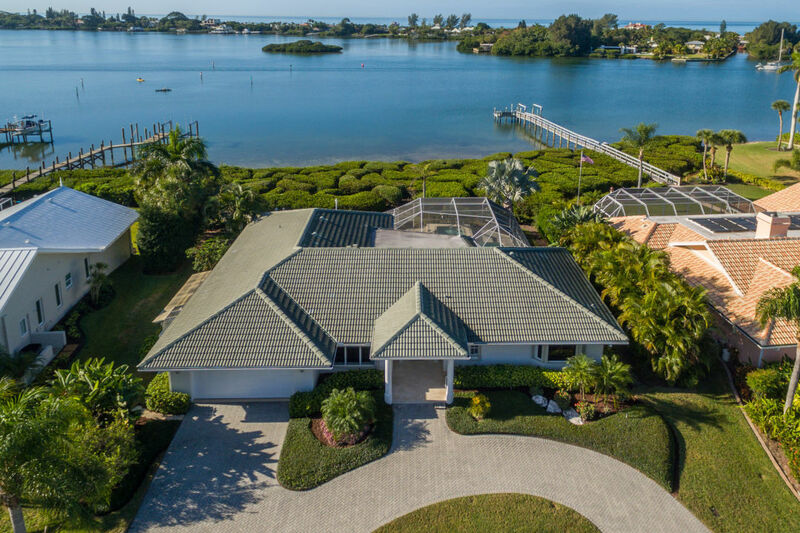 This home on Dona Bay, set on over half an acre of land, features spectacular views, south to a nature preserve and east out over the bay. There’s a large caged pool and a dock with electricity and running water. Inside you’ll find three bedrooms and two baths, with a completely remodeled kitchen. The master suite is particularly nice, with a reading area, two walk-in closets and a spa tub. There’s also a cottage on the property, suitable for a mother-in-law suite or a rental. 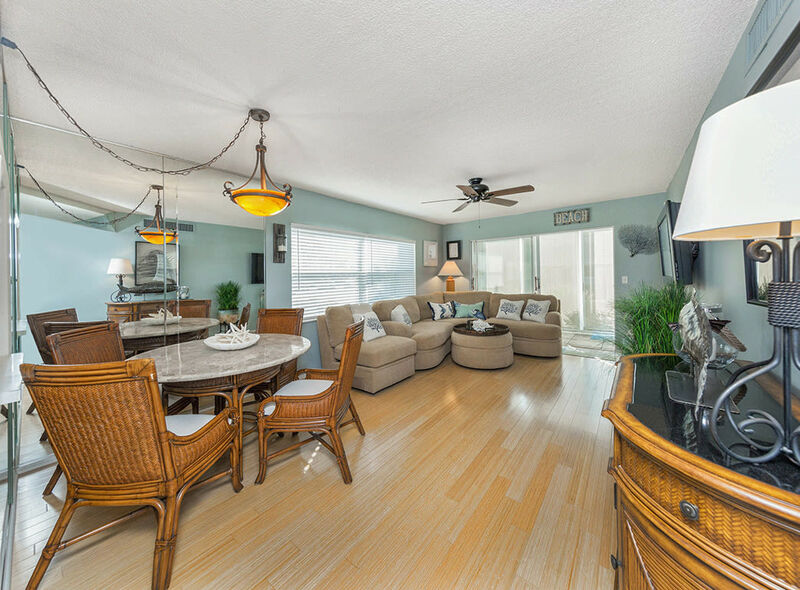 The location gives you easy access to both downtown and south Sarasota. 108 Magnolia Ave., Nokomis/$765,000. Call Dennis Gerber, Coldwell Banker, (941) 726-6471. The highly prized group of 1920s Spanish homes that dot the Island of Venice are the crown jewels of Venice real estate. Built just after the town was laid out in the 1920s by renowned city planner John Nolen, they set the tone for all that followed. Today many are on the National Register of Historic Places. That includes this picturesque example on Harbor Drive South. It dates back to 1926, but has been lovingly cared for and updated over the years. With four bedrooms and three baths, it’s a spacious 2,932 square feet. Period touches include a two-story living room with a beamed and vaulted ceiling, and a wood-burning fireplace. There’s also an old-fashioned screened porch. The kitchen and baths have been nicely updated, but the gardens still retain a quaint look that recalls the home’s early days. The location is ideal. For years this has been one of the town’s most prestigious neighborhoods, and it remains a short walk to shopping and restaurants on West Venice Avenue. For those who value local history and vintage charm, this home is a prize. 501 Harbor Drive S./$765,000. Call Colleen Waldoch, Premier Plus Realty, (941) 955-1401. People love downtown Venice. With its shops, restaurants and people watching, it remains uncongested, with a small-town feel. Those looking askance at what is happening to Sarasota’s downtown would do well to take a look at Venice’s. Its charm is still very much intact. Here’s a brand-new townhouse in a small enclave called Island Court that’s less than four blocks from Venice Avenue. One of 26 resi-dences in the complex, it has two bedrooms, two and a half baths, a den and a two-car garage. The exterior fits in perfectly with the neighborhood’s historic architecture, while the interior is very “on trend,” with an open plan, wood-like ceramic tile floors and lots of custom lighting and other special touches. There’s an upper balcony and a lower courtyard, plus a particularly nice pool shared by the residents. Though a resale, it’s never been lived in, and the builder and appliance warranties convey to the new owner. 417 Nokomis Ave. S. #420/$549,500. Call Michelle Hupp, Michael Saunders & Company, (941) 773-5464. 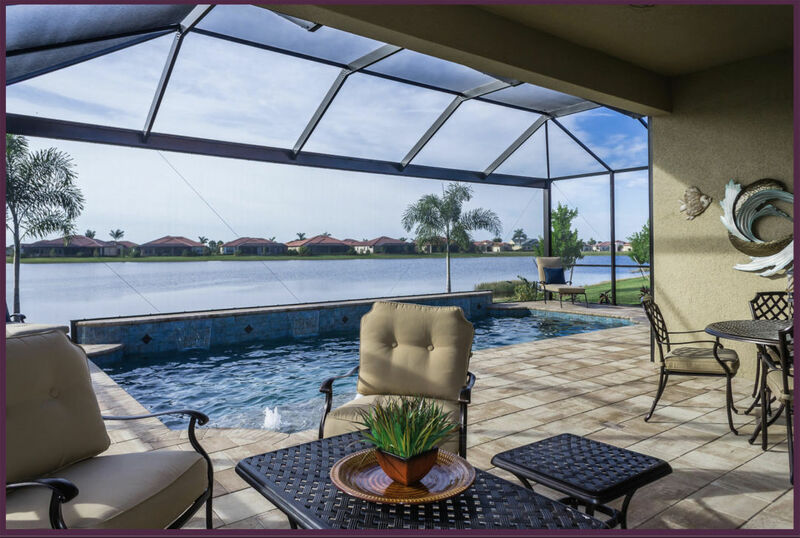 Along the Trail heading south to North Port are several enormous new gated communities that are refining the golfing lifestyle that’s so important to Venice. Designed primarily for couples retiring, or about to, they give buyers self-contained worlds with lavish resort facilities, social activities and great buys in new homes. Sarasota National is one of the largest of these. It’s set on 2,400 acres, with much of the land gently reshaped into nature preserves. Homes here start in the low $200,000s (for the low-rise condos and attached villas) and go up to over $600,000 for the larger single-family residences. This house (at right) on Waverly Circle is noteworthy for all the options and upgrades the original owner installed. You’ll find tray ceilings, hardwood floors, custom lighting, a state-of-the-art kitchen and a spectacular heated saltwater pool with four waterfalls. The premium lot gives the house a view over a small lake. Sarasota National has two sections. In one, unlimited golfing is included in the HOA fees, and that’s where this home is located. 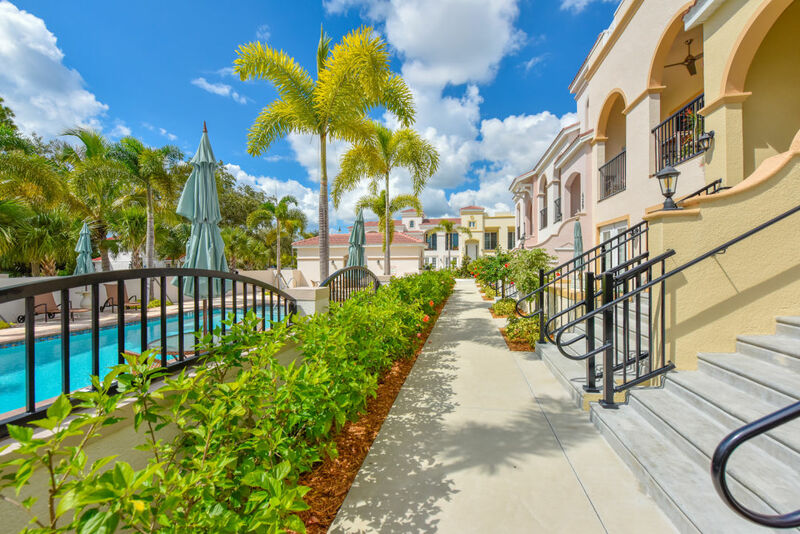 If you want something new yet well-priced in a gated community packed with amenities, you should check out Sarasota National and its neighbors: Gran Paradiso, Grand Palm, IslandWalk, and Renaissance. 23792 Waverly Circle/$519,900. Call Judy Mazrin, Berkshire Hathaway, (941) 922-7030. Venice is world famous for its beaches, and one of the best is virtually downtown. Here on Tarpon Center Drive a string of mid-rise apartment buildings offers residents what many consider the ultimate Florida lifestyle. Premium units can go for over a million, but there are good buys here, too. One example is this nice two-bedroom, two-bath 842-square-foot condo in a 1970s building that’s been well-maintained. It’s a ground-floor end unit, bright and sunny, and while it has no beach view, it’s on the west side of the drive, with no road to cross to get to the sand. The living room features bamboo floors. Both bathrooms have been smartly updated (the kitchen is original but in good shape), and there’s a screened lanai and covered parking. You’ll find yourself a short walk from all the action at the Crow’s Nest Restaurant and the North Jetty. It would make an ideal winter home, very well priced at just under $300,000. 1400 Tarpon Center Drive #114/$299,900. Call Daniel Charney or Brian Corson, Gulf Shores Realty, (941) 993-4551. 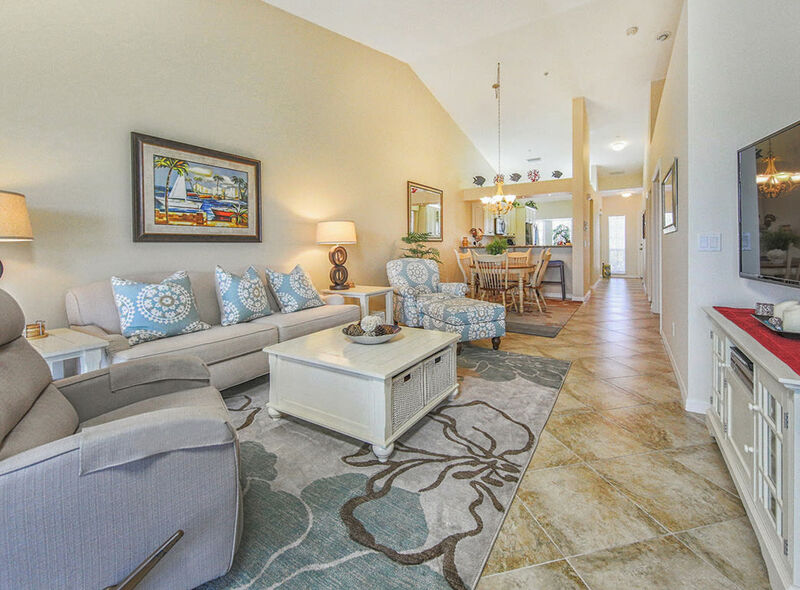 This two-bedroom, two-bath home in the Venice Golf and Country Club illustrates the great value that many homes in Venice offer. Built in 1994, it has a high-end look with a spacious kitchen (yes, granite countertops), a master bath with double vanities and a Jacuzzi tub surrounded by windows, and an office area with built-in cabinetry. It’s a spacious 1,804 square feet, with the sophisticated look of a more expensive home. The location offers great views of the golf course. There’s a two-car garage with ample storage. Venice Golf and Country Club is one of the area’s more prestigious gated communities, with over 500 homes strung around a challenging 18-hole course. The lifestyle here is definitely “country club,” with an impressive list of amenities: tennis, fine dining, social activities and a new fitness center with daily classes. It’s exactly what many buyers are looking for: upscale, gated, with great recreational opportunities. 312 Lansbrook Drive/$324,900. Call Terry Bole, Berkshire Hathaway, (941) 323-1818. A beautifully updated kitchen—top-of-the-line appliances and custom cabinetry—plus a nice view of the lake make this Waterside Village condo a standout. A second-floor unit (two bedrooms, two baths) with vaulted ceilings, its lanai has been glass-enclosed, adding to the living area. Other extra touches: a Zen-like master bath and a den with a built-in desk and fold-down bed for guests. Waterside Village, in the eastern part of Venice near Jacaranda Boulevard, features clusters of townhouse-style condos set in expansive greenbelt areas. Residents can enjoy three swimming pools, tennis and a variety of other activities. This particular unit was built in 2004 and offers covered parking. Waterside Village and other communities like it represent the sweet spot in Venice real estate. 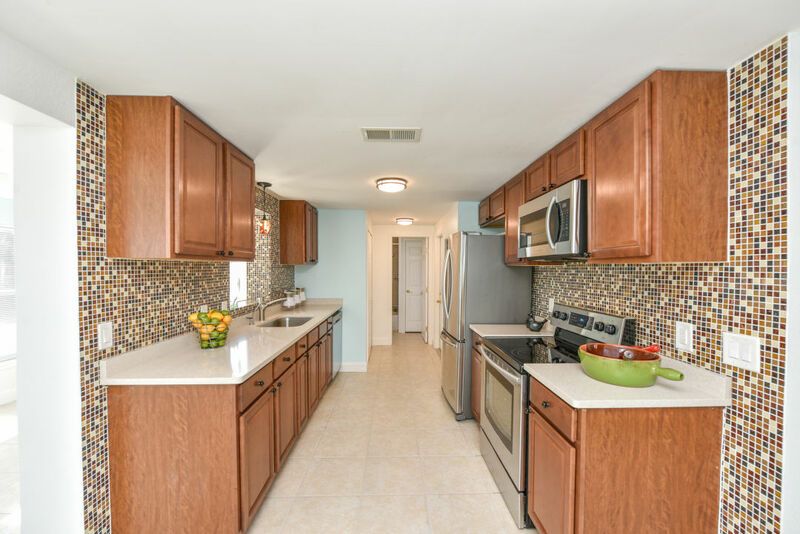 They are well designed and beautifully maintained, with floorplans perfect for couples here to enjoy the year-round warm weather and great recreational activities. And the price can’t be beat—with a budget between $200,000 and $300,000 you get some great choices. 422 Sunset Lake Blvd. #203/$218,000. Call Joan McMahon, Michael Saunders & Company, (941) 306-9353. The southern part of town offers great deals in older homes, many of which have been updated and remodeled. Here’s a two-bedroom, two-bath ranch home in South Venice with lots of updates, priced just under $200,000. The home was built in 1973 using concrete block construction and features an open floor plan and ceramic tile floors throughout. The crisp, modern kitchen has a great look, with quartz countertops, stainless steel appliances, and mosaic tile on the walls. The bathrooms have also been updated. Set on an 8,000-square-foot lot, the home has a fenced back yard and a one-car garage. There’s also a wooden deck out back. 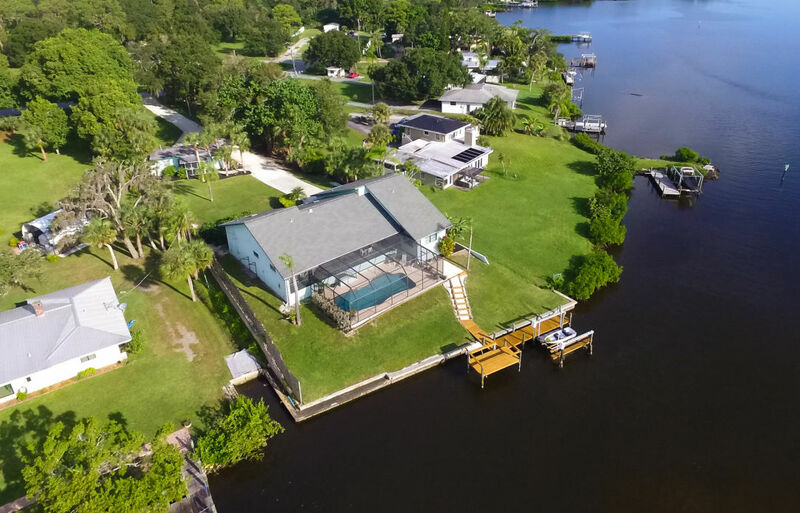 If you join the home owners association, you can use the community boat ramp and take the private ferry out to the beach. 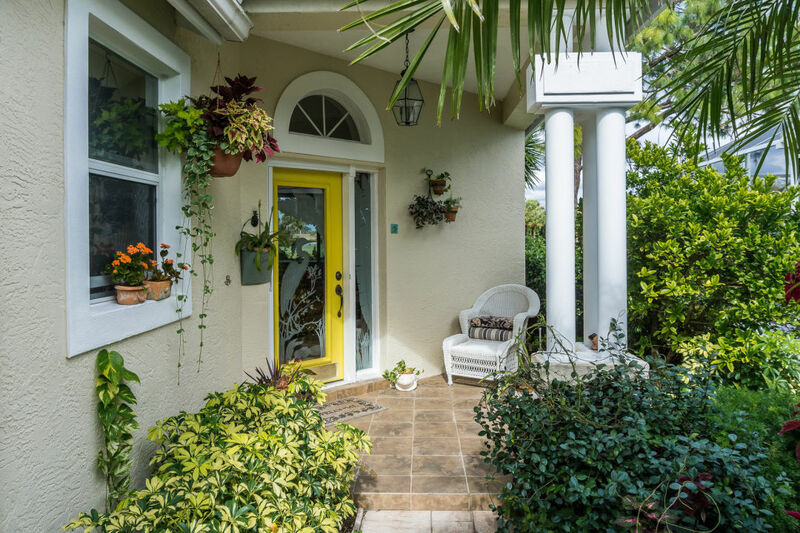 Homes like this are perfect as snowbird retreats and seasonal rentals. Both South Venice and Venice Gardens, with their super-convenient locations, are full of them. Buy one just remodeled or update yourself—either way you get the Venice lifestyle at a great price. 1019 Indus Road/$194,500. Call Michael Martino, Keller Williams Realty, (941) 330-5520.